Home » Appetite Suppressants » Appetrol OTC Diet Pill Review: Does It Work? Appetrol® appears to be discontinued. No loss, since the sole ingredient, glucomannan, is readily available and (still) much less expensive than Appetrol ever was. Helps reduce bodyfat and weight. Promotes a feeling of fullness. Of course, we’ve reviewed many hundreds of fat burners and weight loss supplements, and virtually all of them make at least one of these claims. So on their own they mean virtually nothing. To determine how much truth there is to these, let’s take a look at the ingredients profile for Appetrol. As far as we can tell, it contains only one ingredient; glucomannan. Glucomannan, also known as konjac, is a simple fiber supplement and it’s something we actually like. The reason why we like it? There are numerous clinical studies that verify glucomannan’s effects—both on blood sugar levels and weight loss. Of course, all fiber supplements work in essentially the same way; they fill you up without adding calories. They help with feelings of satiety (i.e., fullness) because they add “bulk” to your stomach. In other words, fiber supplements can expand in the stomach, reducing the available space for food, which may cause you to eat less and feel “fuller” more quickly. There are other benefits as well; because fiber supplements also slow the rate at which food is digested, they can lower blood sugar levels. They also promote regularity, and soluble fiber consumption can even lower cholesterol levels. Should this cause you to consume fewer calories than you require (i.e., it causes you to maintain a caloric deficit) you will lose weight. Helps reduce bodyfat and weight: Although no studies have been performed on Appetrol itself, clinical studies do verify the effectiveness of glucomannan. Promotes a feeling of fullness: Yes, but so does every fiber supplement. There is nothing inherently special about Appetrol that causes this effect. 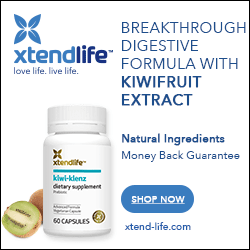 Promotes digestive cleansing: Fiber supplements add bulk to the stool and promote regularity. There is no evidence they have any “digestive cleansing” effect. Safe and effective: Yawn. True, but a a total non issue in this case. So let’s wrap this up shall we? We like glucomannan, and Appetrol contains it. Does that mean we recommend this product? The main reason we like glucomannan and even recommend it for our visitors is that it is cheap. Appetrol—like other “branded” glucomannan products like Lipozene and Tetrazene—is not. Nor is complete dosage information provided for this product; each bottle contains 45 capsules, and each 3 capsule serving contains 1500mg. We’re assuming that it is entirely comprised of glucomannan, but we cannot be sure. Regardless, at the recommended 6 caps per day dosage, two bottles will last you two weeks. That means you will need 4 bottles at a costs of about $60 to get you through the month. That’s not good value, especially considering you can buy 3 or 4 weeks of glucomannan (depending on whether you take 2 or 3 capsules prior to each main meal) for less than $10. At that cost, glucomannan is worth experimenting with—at $60, it is not.